le jeune choeur de paris, under conductor Henri Chalet, acts as jukebox and makes a tour through different settings of the same texts, guided by Benjamin François. 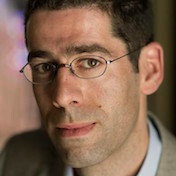 Benjamin François (FR) studied German, History, organ and choral singing before starting as executive producer at Radio France, where he creates audio documentaries, chronicals and thematical series. He is the author of Sur les pas de Bach (‘In Bach’s footsteps’), a radio series about the 460 km journey between Arnstadt and Lübeck that Bach made on foot, on the occasion of 300 years after the meeting of Bach and Buxtehude. He regularly moderates and presents conferences, concerts and is invited as jury member in national and international competitions. François taught German at high schools, and was editor of the organ journal published by France Musique, and subsequently – from 2011 to 2013 – of the programme Le Jardin des critiques. Since 2015 he is dramaturge at l’Opéra-Orchestre National de Montpellier and teaches German in the vocal department of CNSM de Paris. Henri Chalet (FR) graduated in composition and choir conducting from (respectively) Paris and Lyon Conservatoire National Supérieur de Musique. In 2010, he took over the mixed-voice Jeune Choeur de Paris, a chamber choir comprising young talented singers from Paris Regional Conservatory. Until 2011, he also served as artistic director of Saint-Christophe de Javel choir school, an ensemble with which he has made several recordings. At the head of jeune choeur de paris, Henri Chalet has recorded with Natalie Dessay, Karine Deshayes, Philippe Cassard, Marie-Nicole Lemieux, Sabine Devieilhe and Orchestre national de France. le jeune choeur de paris was founded by Laurence Equilbey to give young singers a training that gives both solo and ensemble singing equal place in the curriculum. The training takes place at the département supérieur pour jeunes chanteurs de Paris. Since its foundation, the educational programme at the department has seen the graduation of an impressive number of singers who master not only the ‘traditional’ solo repertoire, but are also well trained in singing in ensembles, act in theatre and multi-media performances, and as a result have found their way to solo work and chamber choirs on international stages.